While racing games are fairly popular, most don’t offer a very realistic driving experience. 2015’s Project Cars was one of the exceptions. The racing simulator was generally well received, though a lot of people found it too difficult. For the sequel, developer Slightly Mad Studios wants to make the game more accessible and accurate to real life by improving the physics. "If you look at sim racing as a whole, there's this misconception that it needs to be really, really difficult, or it's not a sim. This is not simulation, that's not reality," COO Rod Chong told Ars Technica. Slightly Mad Studios launched a crowdfunding campaign for Project Cars 2 less than a month after the release of the first game. As well as some stunning looking graphics, improved AI, and a host of new cars and tracks, the sequel promises a more realistic tire model that should help it avoid some of the original’s problems. "The acid test is taking a powerful rear-wheel drive street car on road tires and [trying] to drift it. When you're over the limit and burning the tires, does the sim stand up? The answer was no, it didn't," said Chong. Project Cars 2 has been undergoing testing by a group of around 700 gamers, as well as pro drivers including Corvette Racing's Tommy Milner, who was able to use his experience to explain why an early incarnation of the game's tires weren’t behaving in a realistic manner. "It was amazing after offering that suggestion and seeing the process the guys went through modeling the tires looking at what could be the problem, seeing it manifest in the game, fixing it, then driving it in the sim a few weeks later and seeing a real appreciable difference," Milner said. 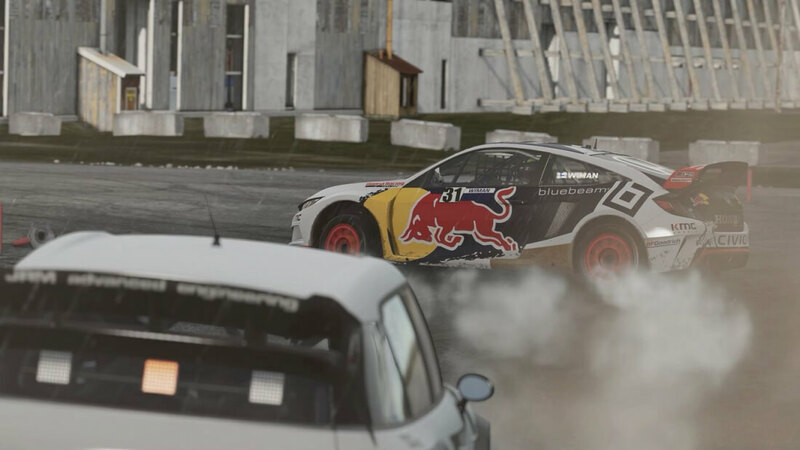 New to Project Cars 2 is rallycross, which puts vehicles on tracks that are a mixture of asphalt and gravel, meaning the design team had to figure out how the tires would behave on these loose surfaces. "These cars are meant to be slid, you drive them sideways, you're on multiple surfaces," Chong said. "You can now feel what's happening and control the car and get an intuitive sense of how you need to manage wheelspin to control the angle and trajectory of the car. It's a beautiful thing, and we're very excited to roll it out." So, not only will you get over 170 cars and more than 50 tracks, but Project Cars 2 also includes what's likely to be the most realistic tires ever to appear in a video game. Project Cars 2 arrives on Steam, Xbox One, and PlayStation 4 later this year.